James H. Brashears III, MD is the Radiation Oncologist and Medical Director caring for patients at Rainier Cancer Center. Dr. Brashears plans and oversees the entire treatment process beginning to end to ensure correlation of care. His primary focus is being precise with cancer treatment and providing patients with an environment that is conducive to optimal recovery for those going through the radiation phase of their treatment. 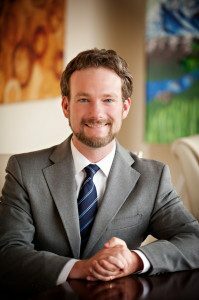 Dr. Brashears received his Medical Doctorate at Duke University School of Medicine. He completed his residency at the University of South Carolina, where he served as Chief Resident of the department of Radiation Oncology. He has extensive experience treating all types of cancer including; breast, prostate, metastatic disease, urologic, gynecologic, lung, and head & neck cancers. He is board certified in Radiation Oncology and holds his medical license in six states.